This post was sponsored by Cricut. 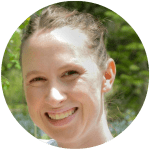 All opinions and my love for the Cricut Explore Air2 are my own. 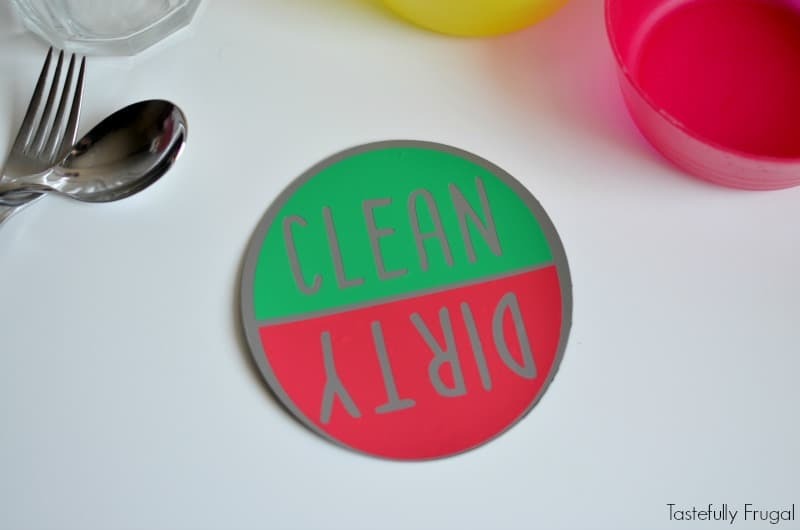 Help your family do the dishes with this easy to make dishwasher magnet. We’re finally reaching the age in our home where my boys can start helping with some of the daily chores. It couldn’t come at a better time because little miss Mahle is a mama’s girl and likes to be held 24/7. Thankfully my boys actually like doing chores so it has been a good transition. One of Rohrl’s favorite chores is doing the dishes and putting them away. Unfortunately sometimes he can’t tell if they dishes are clean or dirty (and I can’t remember because of lack of sleep) and we’ll end up with dirty dishes in the cabinets. But not anymore thanks to our dishwasher magnet. It has saved us so much time and with having green being for clean, meaning go ahead and put the dishes away, and red being for dirty, stop don’t put the dishes away; it’s been an easy system for him to learn. 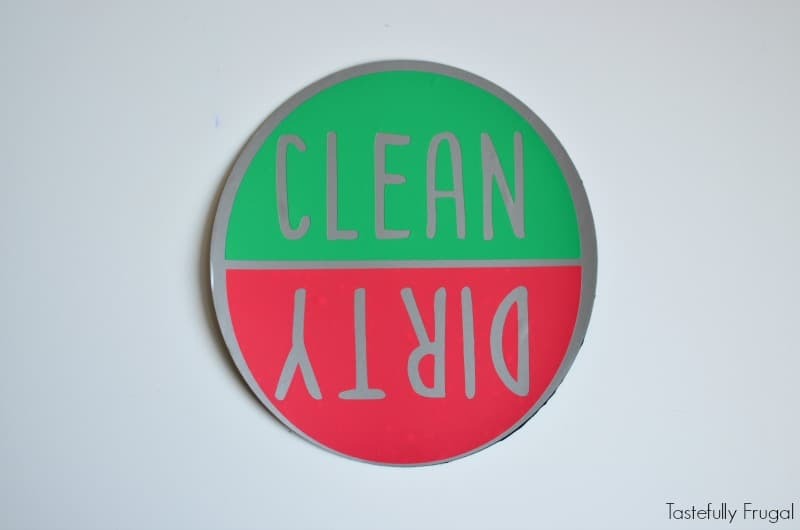 If the dishes are clean then green is on top, if they are dirty then red is on top. 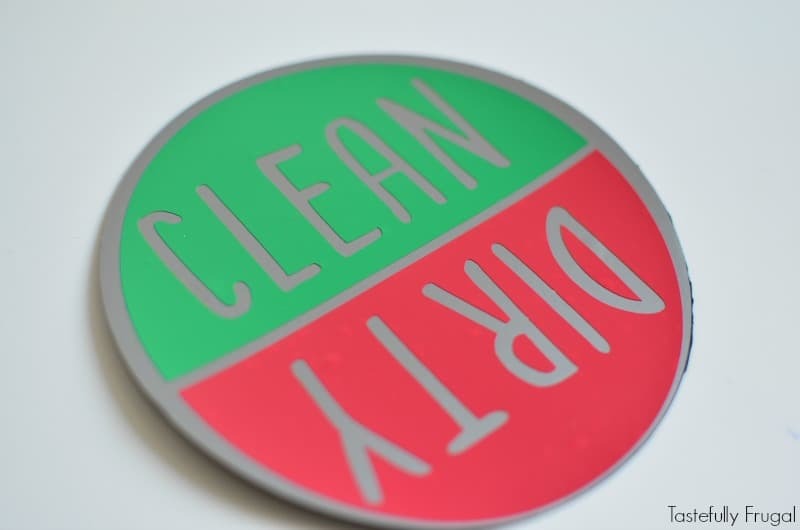 Not only is it an easy way to keep track of clean and dirty dishes but it was super easy to make too; thanks to my new Cricut Explore Air2. 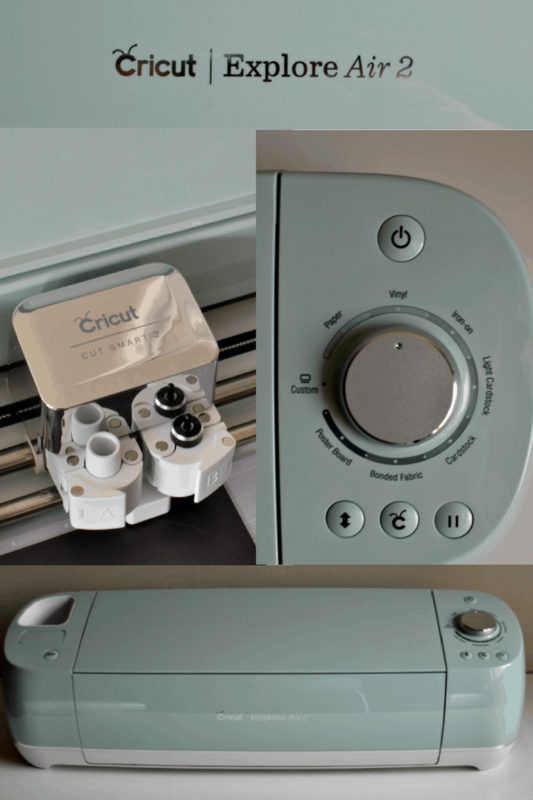 You all know how much I love my Cricut Explore Air so I was thrilled when I heard that the Explore Air2 was coming out! It functions a lot like the first generation Explore Air where you can cut and write at the same time as well as work wireless via bluetooth but it also has the option to cut in Fast Mode, which is two times faster. And it comes in 3 gorgeous colors; I got the mint green and it is just beautiful! This magnet was a great first project for the Explore Air2; especially the fast mode. Remember that part about Mahle wanting to be held all the time?! 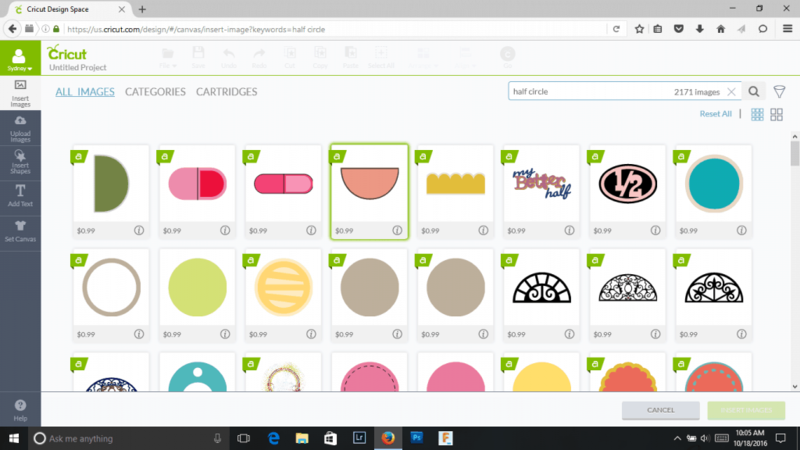 In the Cricut Design Space open a new project and select images. Search for a half circle and add the one you like (this is the one I chose). 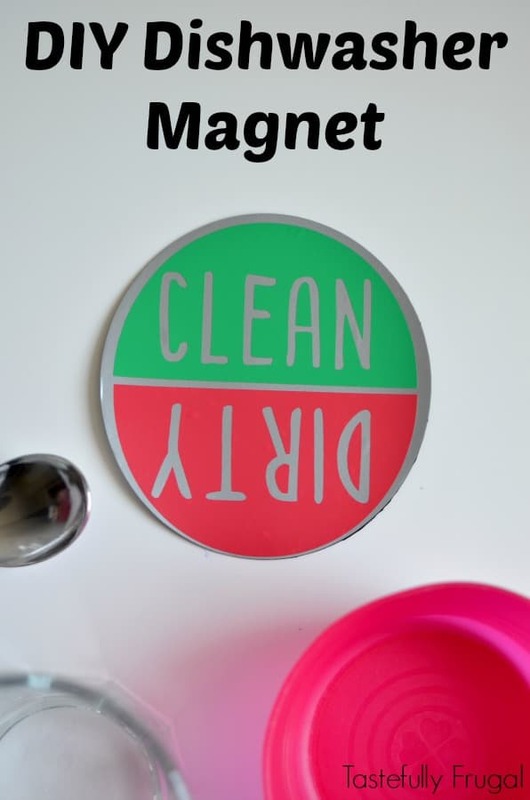 Make the half circle about half the size you would like your magnet. Mine was about 5″ so the half circle was just under 2.5″. 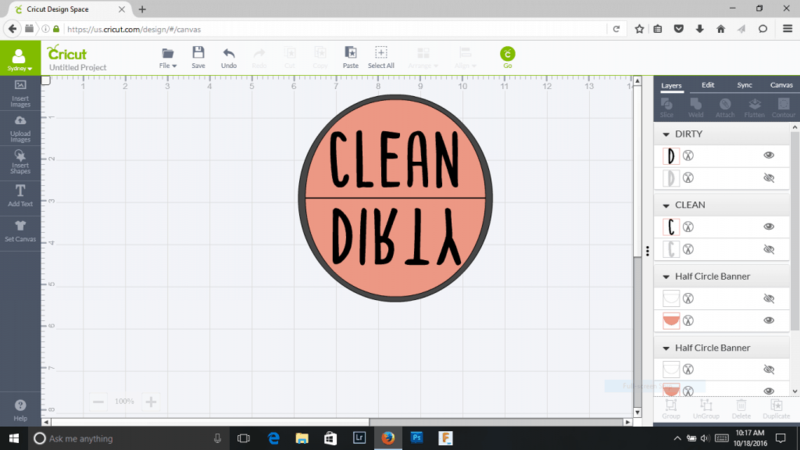 Add text and fit CLEAN into one of the half circles (I used Chalkboard-Condensed font). Add text and fit DIRTY into the other half circle and mirror the text so it reads backwards. Fit the two half circles together so they make a circle. 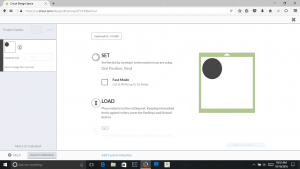 Click add a shape and a circle. Fit circle to be just a few inches bigger than the two half circles. Click the eye on the two half circles in the menu on the right side so that only the circle is visible. Cut circle out of magnetic sheet using deep cut blade and StrongGrip Cutting Mat (the StrongGrip mat is used for thicker materials like magnetic sheets, thick cardstock and fabric with a backing.) **Make sure to also select custom material on your Explore Air2 and select Magnetic Sheet Heavy. Cut a second circle out of the silver vinyl. You can use the StandardGrip Cutting Mat and standard blade for this. **Make sure to change the material to vinyl on your Air2. Back in the design space click the eye on the circle to make it not visible and unclick the eye on the CLEAN half circle to make it visible. 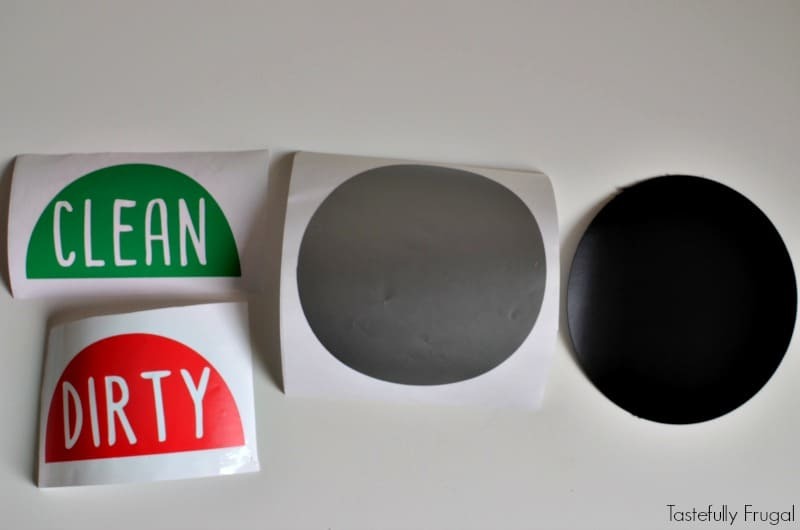 Cut the CLEAN half circle out of green vinyl. Go back to the design space and click the eye on the CLEAN half circle to make it not visible and unclick the eye on the DIRTY half circle to make it visible. When you cut the DIRTY half circle make sure to click MIRROR IMAGE in the menu on the left before you cut. Cut out of red vinyl. Remove excess vinyl from around the silver circle. Using transfer tape add the two half circles, one at a time, to the silver circle. Attach silver circle to shiny side of magnet. Now my boys easily know if it’s time to unload the dishwasher. What chores do your kids like to help with? Or what chores do YOU like your kids to help with? How could we make these more fun for the kids so they actually look forward to doing them?